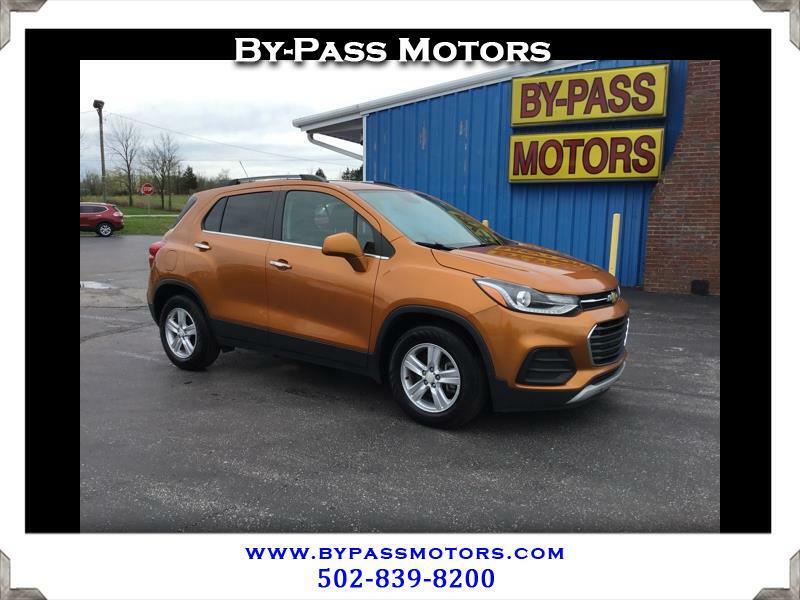 Used 2017 Chevrolet Trax LT FWD for Sale in Lawrenceburg KY 40342 By-Pass Motors, Inc.
Quality Chevy Trax with BOSE PREMIUM SOUND and a SUNROOF!!! This Trax is one of the nicest you will find and has been fully serviced by us to insure that it needs nothing. Comes with the remainder of the factory warranty to cover you after the sale and is eligible for our extended service contract. When you crack the door on this SUV you can see the quality with a stain free interior that is as fresh as a new one and smoke free!!! We have financing options available to get you a great interest rate and keep that monthly payment low where you can afford it. We have been in business since 1989 with an A+ rating with the BBB!! !